Singapore based Pan Pacific Hotels Group (PPHG) is expanding its brand into Vietnam’s capital city with the acquisition of of the former Sofitel Plaza Hanoi. The iconic Hotel was purchased as long ago as 2001, in a joint venture with Hanoi Construction Corporation, but has still been operating under the Sofitel brand. However, as of 1 October 2016, it will be rebranded as the Pan Pacific Hanoi. The lobby, lobby bar, all-day dining restaurant and meeting space will be completely refurbished. Seeking to deliver their brand promise of “Your refreshing Pacific experience” PPHG hope to create a feeling of sense and calm within the chaos of Vietnam’s capital city. Their style is that of blending the cultures and heritage from around the Pacific Rim. The hotel has 56 serviced suites and 273 guest rooms. Located on the edge of The Old Quarter, the beautiful structure overlooks the West Lake and the Red River. This is a desirable location that is conveniently close to the main business district. 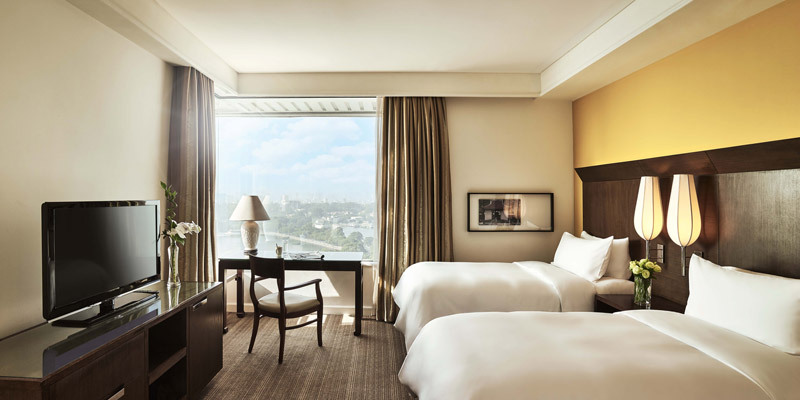 Strategically located at the edge of the city centre, Pan Pacific Hanoi offers 329 elegantly furnished rooms and suites with breathtaking views of West Lake, Truc Bach Lake and the Red River. The stylish interiors and modern amenities incorporate the local essence to bring you a refreshing experience. Lying next to Hanoi’s famous West Lake, this centrally located hotel is a 25 minute drive from Noi Bai International Airport and a quick stroll from attractions such as Tran Quoc Pagoda and Ho Chi Minh Mausoleum. The hotel provides modern guest rooms, extensive meeting spaces and a range of dining options and recreational facilities perfect for both business and leisure travellers. Each of the 329 rooms, suites and serviced suites is stylishly furnished and accompanied with modern amenities, complete with impressive views of the West Lake and the Red River. The 56 serviced suites offer fully equipped kitchens and separate living spaces, ideal for extended-stay traveller. The tastefully furnished facilities are complemented by Pan Pacific’s personalised services. You can enjoy a variety of gourmet options at Pan Pacific Hanoi’s restaurants and bars. Pacifica restaurant offers an international spread of scrumptious delights, including breakfast, lunch and dinner buffets as well as a la carte options. The renowned Ming restaurant provides authentic and exquisite Cantonese cuisine and excellent dim sum, with private dining rooms available for business or family lunches and dinners. 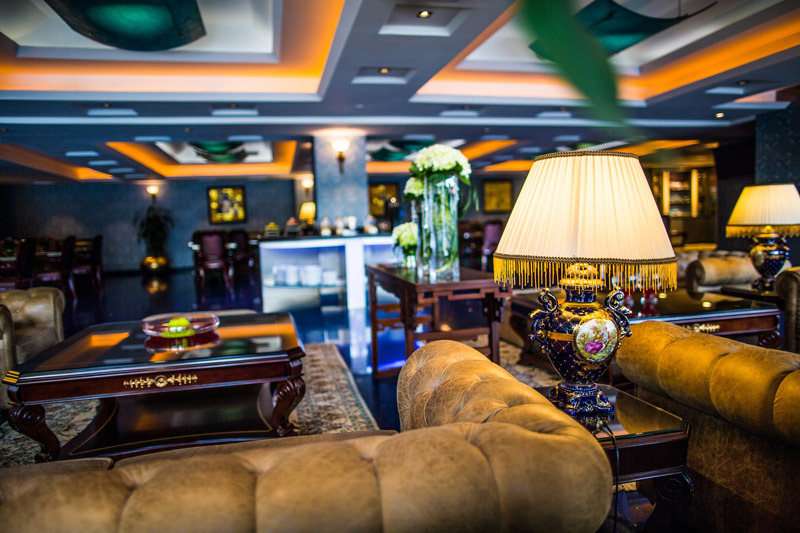 Song Hong Bar on the lobby level is an ideal venue to meet business partners and friends during the day, while the The Summit Bar on level 20 is one of the best rooftop bars in Hanoi, commanding breathtaking views of the West Lake. The hotel also provides a range of recreational facilities for a rejuvenating stay. You can enjoy an energising workout at the 24-hour fitness centre or go for a refreshing dip in the indoor swimming pool, complete with a retractable roof for natural daylight. Alternatively, indulge in a soothing massage treatment at the spa and feel your fatigue and stress melt away. 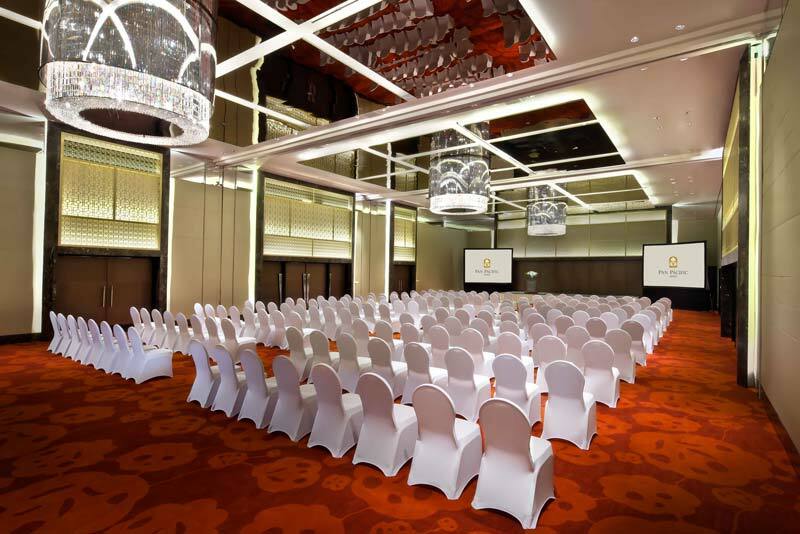 If you are looking for versatile space for a company conference or a grand ballroom for a dream wedding, Pan Pacific Hanoi will be an ideal choice. Their experienced team will tailor unique solutions to meet your requirements. 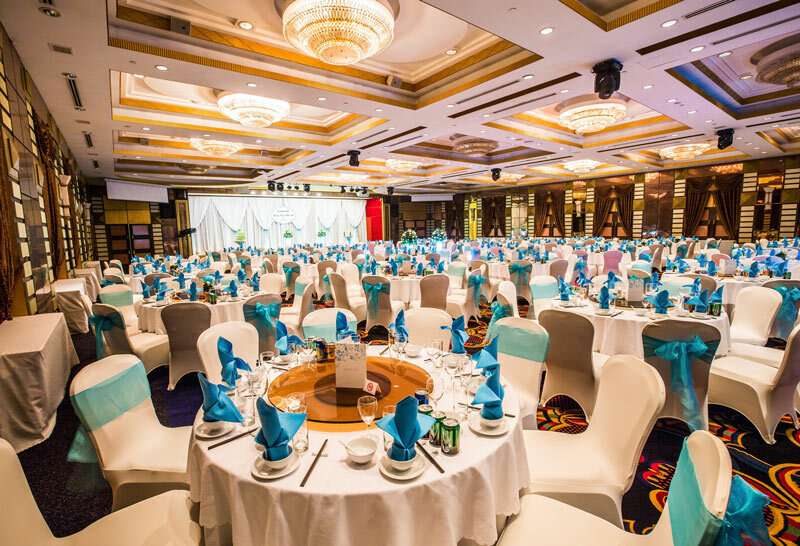 The hotel boasts twelve meeting rooms, including a grand ballroom that can accommodate up to 450 guests. All meeting rooms are equipped with the latest audiovisual technology for a seamless meeting experience. Make your events blossom at Pan Pacific Hanoi with this spring meeting offer. • Use of meeting room from 8:00 a.m. to 5:00 p.m. Please contact Pan Pacific Hanoi for more information. Hilton Worldwide announced today that it was selected as one of the 2016 Fortune 100 Best Companies to Work For, by global research and consulting firm Great Place to Work® and Fortune Magazine. This list recognizes companies that have exceptional workplace cultures. What’s so good about the Old Quarter, anyway? 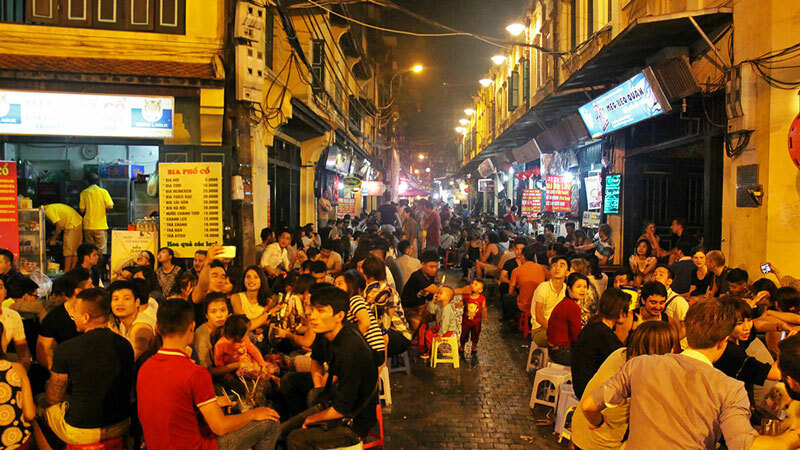 It’s a place where most locals and tourists gather and hang out during the weekends, probably because it’s the only place in Hanoi without a midnight curfew. Coffee shops, bars, clubs and a wide array of dining options, from street food to high-end restaurants, all make up the crowded little area in the heart of Hanoi. This also means that you will barely be able to find a spacious and quiet room in this part of the city. Boutique hotels in the Old Quarter are aplenty, nestled in the small alleys, with small staircases and bedrooms, making you feel a bit like Gulliver exploring the land of Lilliput. It may be great the first time you’re in town but if you really love the city and need to return, venture outside the Old Quarter. Listed here are the top five tried-and-tested 4-star hotels that will guarantee a restful stay, while still within reasonable reach of the best destinations in Hanoi. As the hotel’s name suggests, Mercure Hanoi is located near the Hanoi Railway Station (Gare de Hanoi). The century-old building was a venue for train passengers to stay as they travelled from Hanoi and nearby provinces. Today, it has become a modern 4-star hotel under the French Mercure brand, with vibrant interior design and high-quality services. The hotel has 102 rooms, including Standard, Superior, and Deluxe styles. 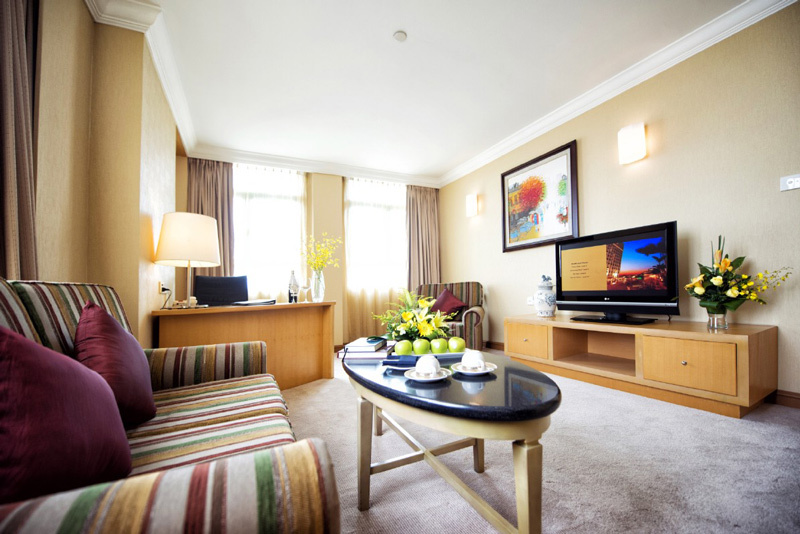 Room sizes range from 20 to 35 m², with large windows displaying gorgeous views of Hanoi streets. Worried about noise? The hotel is located on a quiet corner, and you can even opt for a soundproofed room. 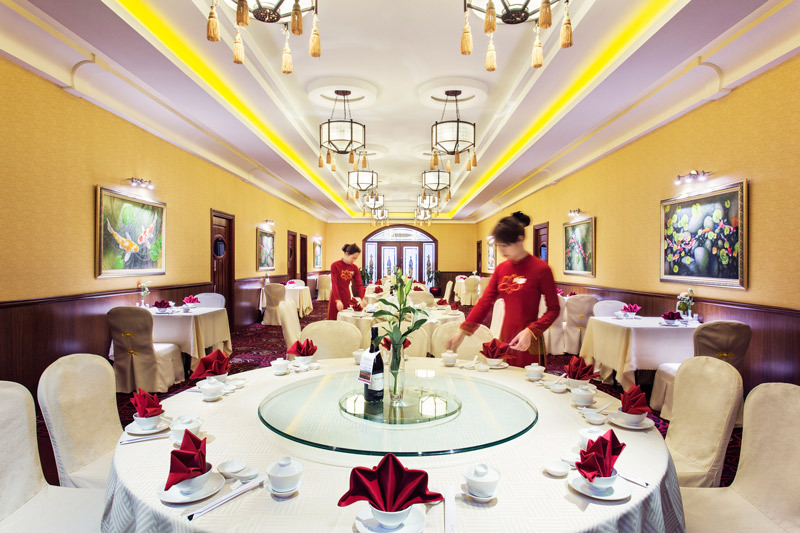 A garden courtyard restaurant, the Brasserie Le Pavillon, offers a range of Vietnamese and Western specialties. Here you can find local favourites such as bun cha and cha ca la vong, served in a refined and stylish setting. For more options, walk down Nam Ngu Street to find superb restaurants such as La Badiane and Luna d’Autunno, sample the diversity of Vietnamese cuisine at Quan An Ngon, and enjoy the view over the city centre at The Rooftop Bar nearby. Guests of Mercure Hanoi La Gare are most satisfied with the convenient location, professional staff and attentive services. A younger and less prominent cousin of the Hilton Hanoi Opera, and just a few blocks down Phan Chu Trinh Street, Hilton Garden Inn boasts the same standards for its room quality and staff efficiency. There are 87 rooms, including 9 bedroom suites, each with a living room. The decor is luxurious and cozy, capturing an old capital vibe while maintaining the Hilton brand’s attention to detail. Free self-service laundry is a nice, thoughtful touch that guests find really useful. The Grille restaurant, with a capacity of 120 and two private dining rooms, provides all-day dining options for individuals, families, couples and corporate guests. The 24-hour Pavilion Pantry offers snacks and cold beverages. There is also an evening room service menu available. Guests can also hang out at the hotel’s bar, enjoy a workout at the 24-hour fitness centre, or just relax at the spa on the top floor. Hilton Garden Inn is favoured for its convenient location as well as the friendly and helpful staff. What’s most impressive about The Ann is the abundance of light and greenery in and around the hotel. From the moment you walk into the hotel lobby, you are welcomed by warm sunshine, just like the smiles of the staff. The hotel offers 101 guest rooms and seven suite apartments, each at least 30 m². Classy furniture with harmonious colours will soothe your eyes after a day out in the vibrant city, while the extremely comfortable mattress and pillows will help you relax your body and mind, ensuring a restful stay. On the top floor of the hotel is a sunlit gym with a full-time trainer, a rooftop area where you can chill and even have a small party with your friends and an outdoor pool. There is also a sauna, a jacuzzi and shower room with secure lockers. 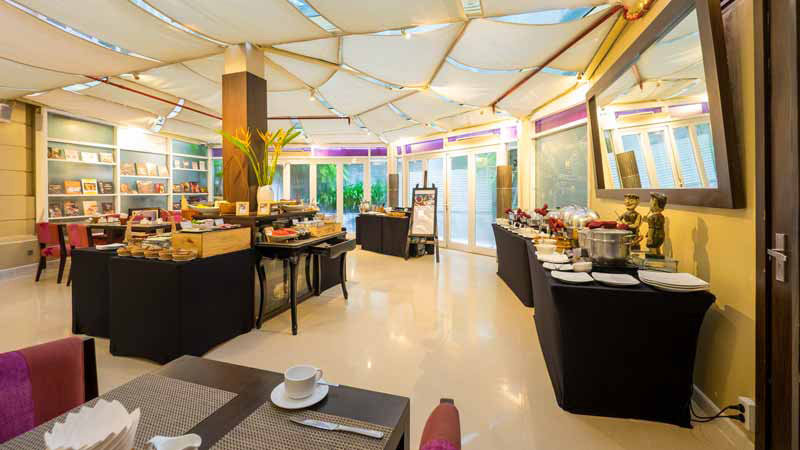 Be sure not to miss out on the breakfast buffet at The Onyx House downstairs, and have a coffee or a cocktail at the A Lounge overlooking the lobby. At Fortuna Hotel you will enjoy traditional Asian hospitality at its best. You can choose from 350 rooms in four classes, Deluxe, Grande, Premier and Suite, with room sizes ranging from 28 to 60 m². The hotel’s basement is comprised of convenient entertainment venues, such as the Boss NiteClub.KTV, open from 6 p.m. until midnight for drinks and dance, and the Millionaire Club, open from 10:30 a.m. to 6 a.m. for those of you into slot machines and table games. Those who prefer quiet relaxation can head to the fifth floor for the Fitness One gym or the outdoor swimming pool. The Sen Spa and Beauty Salon, also on the fifth floor, provides massage, skin care and hairstyling services, and the bigger Spa de Palace on the top floor has a jacuzzi, chilled pools, more massage and sauna services and a coffee lounge with complimentary coffee or tea. Fortuna Hotel has three large restaurants that feature Chinese, Japanese, Southeast Asian and Western cuisines. There is also the Coffee Lounge in the hotel lobby for more casual meetings. The Hanoi Club Hotel is an ideal place for tourists wishing to discover the elegance and poetic beauty of Hanoi. Without a doubt, this is one of the most tranquil locations in the city. Rooms are among the most spacious you can find in Hanoi. 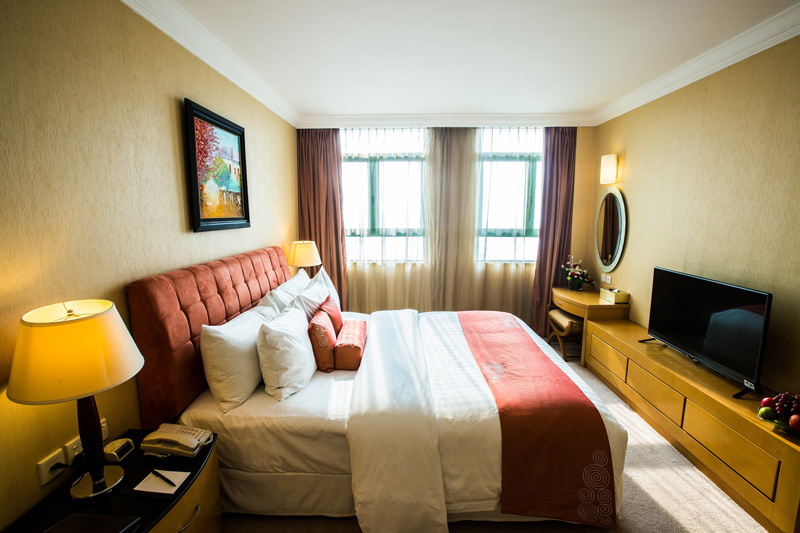 Superior and Deluxe rooms are sized 35 to 40 m² each, overlooking the city streets or the West Lake. Signature rooms, beautifully designed and especially suitable for couples, are slightly larger to make room for a sofa. Studio rooms are similar to a mini apartment, where you can have a private kitchenette and a comfortable desk for working. A magnificent view of the West Lake can be enjoyed from the comfort of your room. You can also relax at the Terrace Bar in the courtyard by the pool, go for a swim on sunny days or even play golf while surrounded by fresh air and calming water. 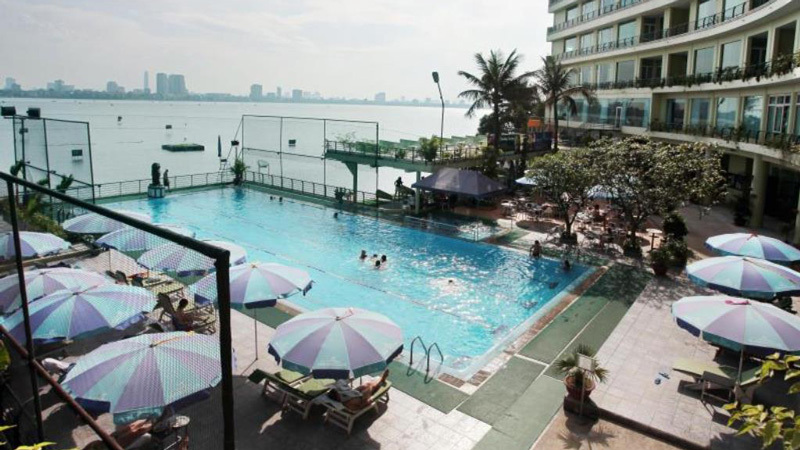 The Hanoi Club provides international standard tennis, squash and golf facilities, as well as a fitness centre with professional trainers on hand, which all guests have free access to. After exercising, guests can relax in the steam room or relieve stress at the sauna and jacuzzi. In the evening, the Arena Lounge offers a relaxing ambience for social activities. Café Tivoli features East Asian and Western cuisines, and Deli Crumbs Bakery is favored for homemade pastries, bread and delicious dumplings. Comfort, safety, well-maintained facilities and proximity to important locations are some of the key requirements for any business traveller. In Vietnam’s bustling capital city of Hanoi, these requirements are easily met by Fortuna Hotel Hanoi, which blends comfort, elegance and personalised services. Located in Ba Dinh District, the strategic business and financial centre of Hanoi, the 350-room, 4-star award-winning hotel has been going strong for the past two decades. In fact, it is showing no signs of slowing down, having won the Best 4-Star Hotel award twice in 2017 and 2018. One of the biggest problems travellers to Vietnam face is the potential language barrier, but this is almost non-existent in Fortuna Hotel Hanoi. 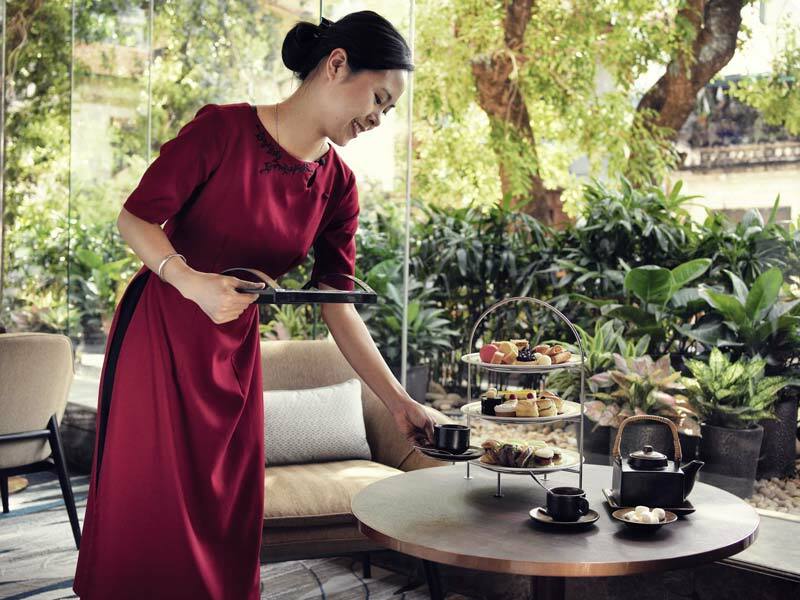 Other than being fluent in Vietnamese and English, the hotel’s service team also consists of Korean and Japanese speakers who are able to aid visitors from these countries who make up a large proportion of their clientele. Thanks to this example of Fortuna’s attention to detail, the hotel consistently receives a large number of guests from Korea and Japan, as well as other countries. Bathed in a luxurious mix of gold, brown and black, the distinctive colour palette of Fortuna’s interior oozes class and elegance. With four types of rooms available, guests can choose between the Deluxe, Grande, Premier and Suite. Each room is well-furnished and fully-equipped with everything you’ll need to have a pleasant and relaxing stay. There is also the option to book your room with access to the Capital Lounge on the fifth floor. Enjoy exclusive and personalised services catered to each guest. From sitting back to enjoy a panoramic view of the outdoor swimming pool, to experiencing preferential privileges such as personalised check-in and out services, evening cocktails and complimentary services including suit pressing and usage of the meeting room, guests can expect memorable experiences throughout the duration of their stay. May Man Restaurant, located on the second floor, is one of Hanoi’s best Chinese restaurants - specialising in dim sum served in a contemporary setting. Besides the standard tables, guests also have the option to reserve one of its six private dining rooms for a more private and exclusive setting. Fortuna’s Tiffin Restaurant, located on the hotel’s lobby level, features an all-day dining experience with an offering of local and international cuisine. Some of its international selections include signature dishes from Japan and Singapore, as well as savoury European dishes - all made with the freshest seasonal ingredients. For working business luncheons or celebratory dinners, Emperor Restaurant features five private dining rooms for exclusive dining. Serving traditional Japanese dishes with a modern and sophisticated twist, the restaurant is open for lunch and dinner only. 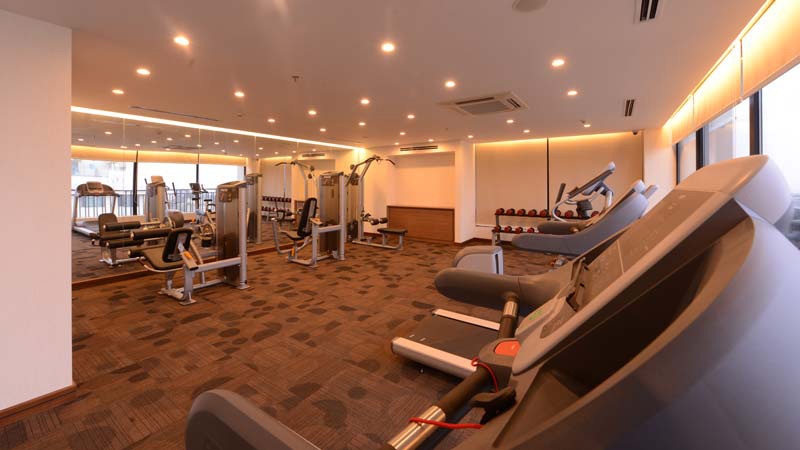 For guests who would like to sneak in a workout or two, the hotel’s fitness center is well equipped to meticulous detail with state-of-the-art facilities that ensure exercise enthusiasts can challenge their limits, all in a comfortable and safe environment. On the other end of the spectrum, for those who like to challenge themselves in a different way, the Millionaire Club on the hotel’s first floor boasts an incredible selection of slot machines and popular table games. Do take note that entry to this club is only open to those aged 21 and over. The Boss NiteClub.KTV located at the basement can be considered a viable alternative to night clubs across Hanoi. You can enjoy a wide variety of drinks with pulsating music as you bust a move or two, or just simply kick back and relax with a refreshing glass in hand. 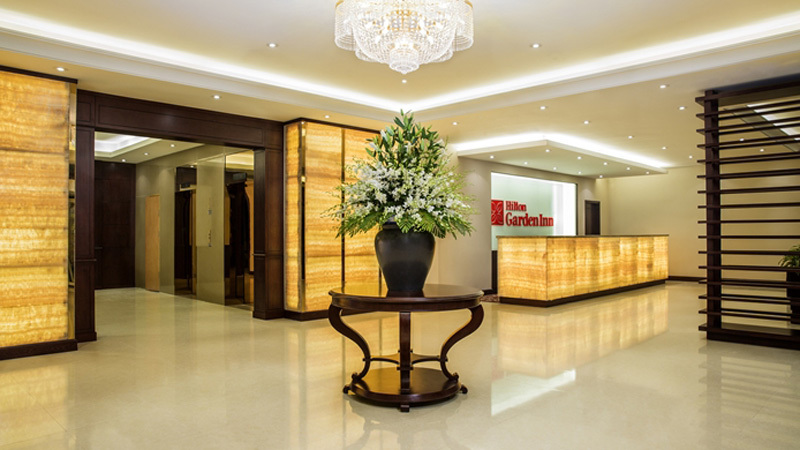 From airport transfers to tour services and a 24-hour business centre, Fortuna Hotel Hanoi offers comprehensive packages that guests can enjoy during their stay. 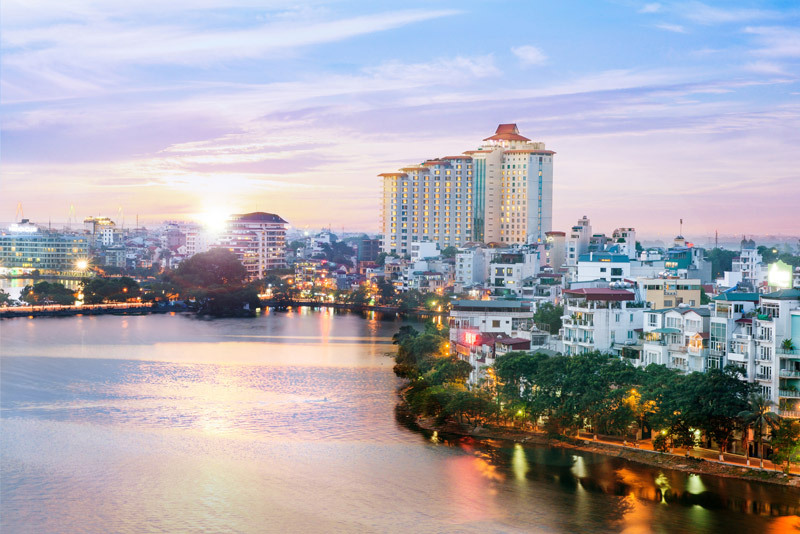 With its prime location, guests also have quick and easy access to a variety of destinations within Hanoi’s business and financial district, as well as popular tourist spots that are within reach. Guests can expect a combination of comfort, elegance and personalised services at the Fortuna Hotel Hanoi. Vietnam, Hanoi - May 14th 2016 - Hilton Hanoi Opera & Hilton Garden Inn Hanoi have taken part in Careers@Hilton Live: Youth in Hospitality Month, Hilton Worldwide’s annual global career event showcasing the many opportunities available in the hospitality industry for young people. Throughout the month of May, Hilton Worldwide hotels and corporate offices around the globe are hosting hundreds of events to inform those looking for employment about the exciting and diverse career opportunities in the hospitality industry. This initiative is a part of Hilton Worldwide’s Open Doors commitment, which aims to positively impact at least one million young people by 2019 and better prepare them to reach their full potential. On May 14th, 16th & 17th 2016, Hilton Hanoi Opera & Hilton Garden Inn Hanoi hosted “Careers@Hilton Live”, which welcomed over 500 students from ten different schools to explore the jobs and opportunities in a hotel, observe team members while on the job, participate in games and explore potential career interests and opportunities for themselves. Careers@Hilton Live: Youth in Hospitality events are a unique opportunity for Hilton Worldwide Team Members to inspire job seekers about careers in the hospitality industry, and to support them by providing guidance on the skills that are vital to succeed in the workplace and beyond. Participants have been joining Hilton Worldwide Team Members for events ranging from résumé clinics to networking, as well as presentations from Team Members on their career paths in hospitality. For more information about Careers@Hilton Live: Youth in Hospitality Month, please visit www.hiltonwordwide.com/youth. For information on job opportunities with Hilton Worldwide, visit http://jobs.hiltonworldwide.com/.